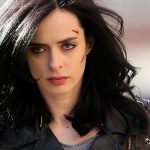 Luke Cage is a superhero with super strength and unbreakable skin, he is the main character in the TV show of the same name, and also in The Defenders. 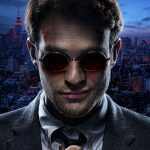 Both shows more or less follow the life of Luke Cage and his superhero friends in the city of New York. 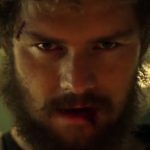 Luke Cage likes keeping a low profile, avoiding altercations that might attract suspicious or police activity and generally remains as normal as a person can be. 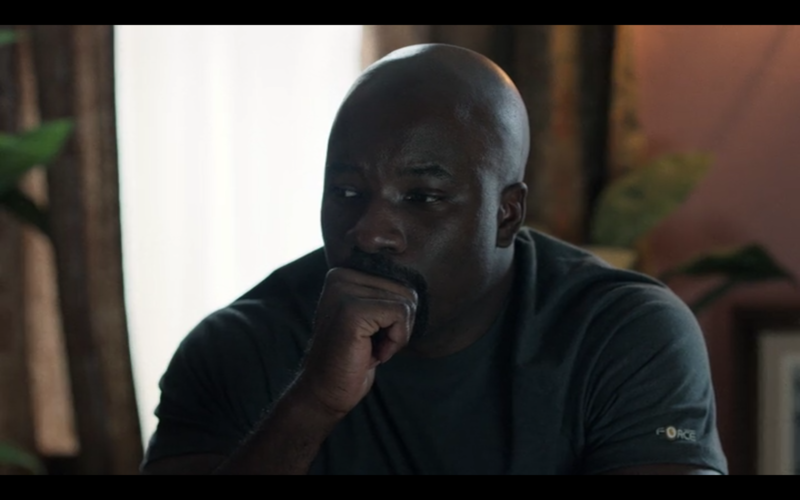 The tshirts that Mike Colter wears in Luke Cage and The Defenders are all black, or all yellow shirts. 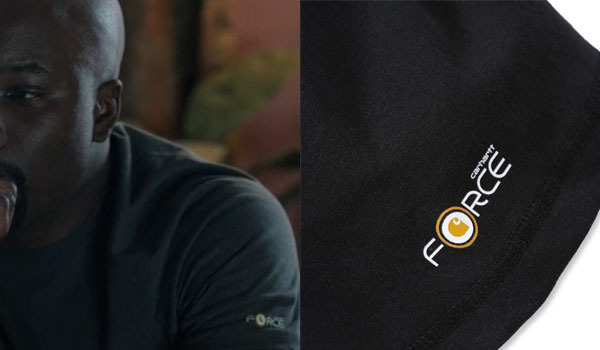 They have been identified thanks to the logo on the sleeve. They are Carhartt Force T-Shirt with removed front pocket. The "yellow" version is called Mustard Yellow. 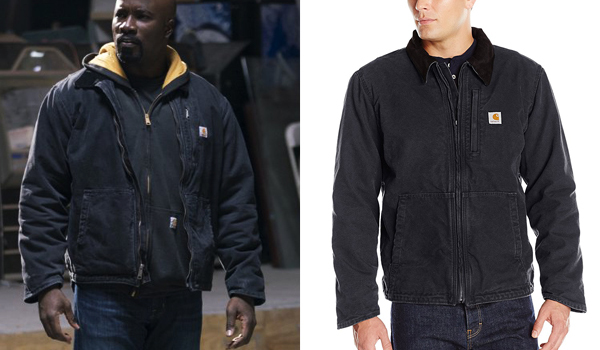 The jacket that Mike Colter wears in Luke Cage and The Defenders for his Luke Cage role is a black rugged cotton jacket. It is the Carhartt Armstrong Jacket. 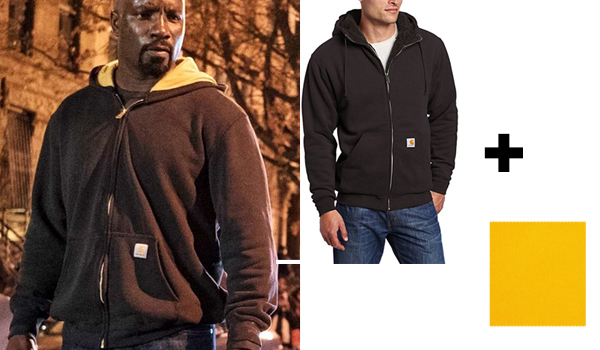 The signature black and yellow hoodie that Mike Colter wears in Luke Cage and The Defenders is the Carhartt Defender Jacket that has been customized by sewing yellow fabric to the inside of the hood. 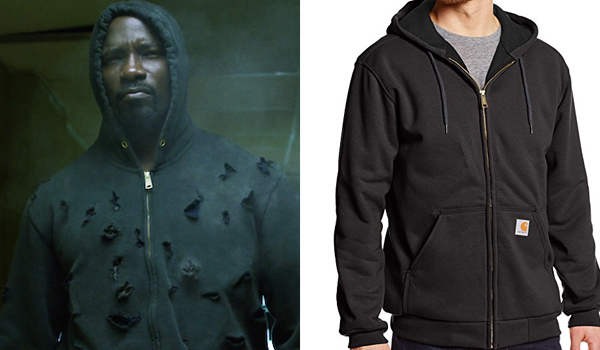 The bullethole hoodie that Mike Colter wears in Luke Cage and The Defenders is the same Carhartt Defender Jacket that was customized to look like it has bullet holes. You can choose to buy the same jacket and do the holes yourself or buy a replica. 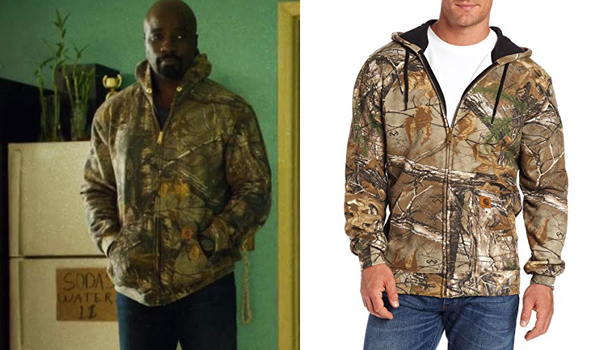 The camo hoodie that Mike Colter wears in Luke Cage and The Defenders is the is the Carhartt Realtree Sweatshirt. Get rid of the hoodie string and it will be just like in the show ! 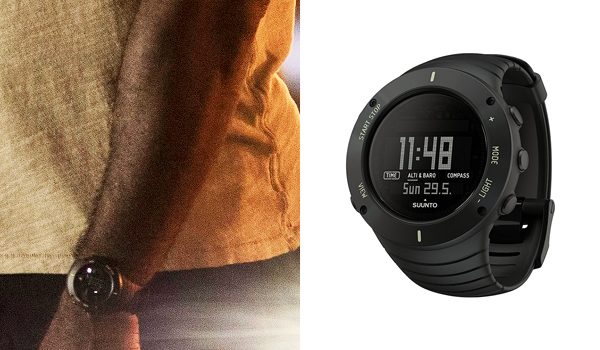 The watch that Mike Colter wears in Luke Cage and The Defenders for his Luke Cage role is a bulky black sport watch with two small greenish lines on opposite sides of the watch and a rubber wrist strap with linear markings. It is the Suunto Core watch in ultimate black color. 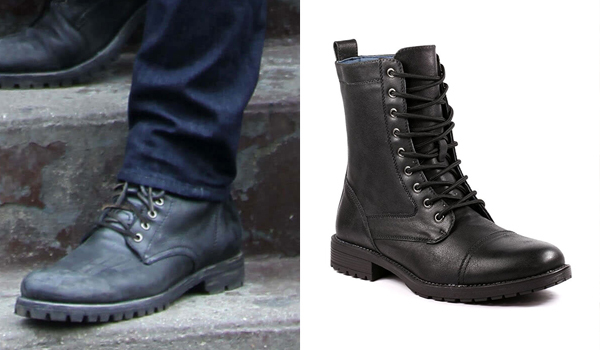 The shoes that Mike Colter wears in Luke Cage and The Defenders for his Luke Cage role are black leather boots. The costume designer of the show mentionned she got them at an army surplus store. These military combat boots are a close match. 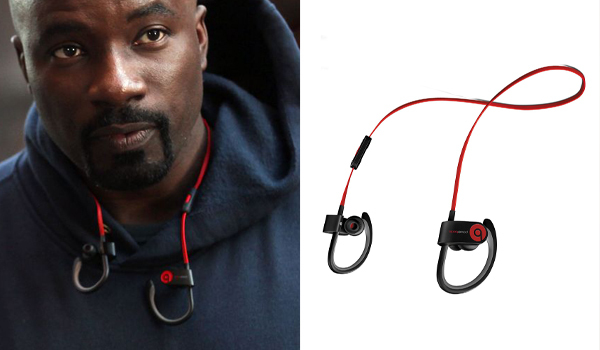 The headphones that Mike Colter uses in Luke Cage and The Defenders for his Luke Cage role are black and red in-ear headphones (earbuds). They are Powerbeats 2 in-ear wireless headphones. I haven’t identified it yet. It has a “force 6” or “G force” logo on the sleeve but don’t know any brand of the name. Here’s a picture that might help, the yellow tshirt is from the same brand. Let me know if you find anything !